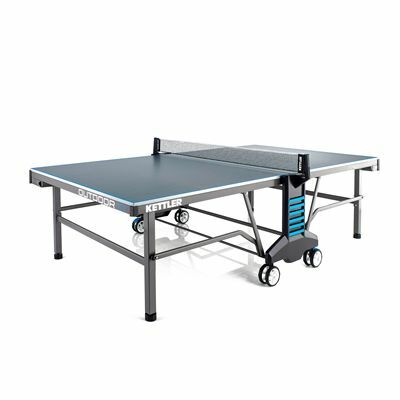 The Kettler Classic Outdoor 10 is a high-quality and very practical outdoor table tennis table, manufactured to high specification in Germany. The 22mm top delivers great and consistent bounce and pace for performance like on an indoor surface. Plus the ALU-TEC+ composite top is weatherproof, as is the net, and is designed not to warp so it keeps performing even after rain or snow. 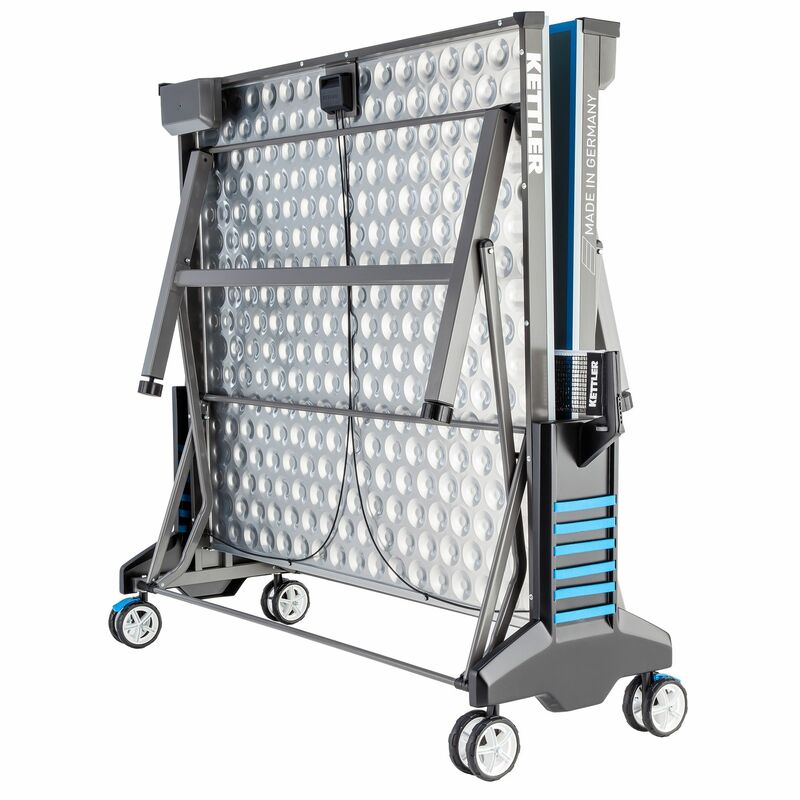 The surface is anti-glare so you can play more comfortably in bright conditions. 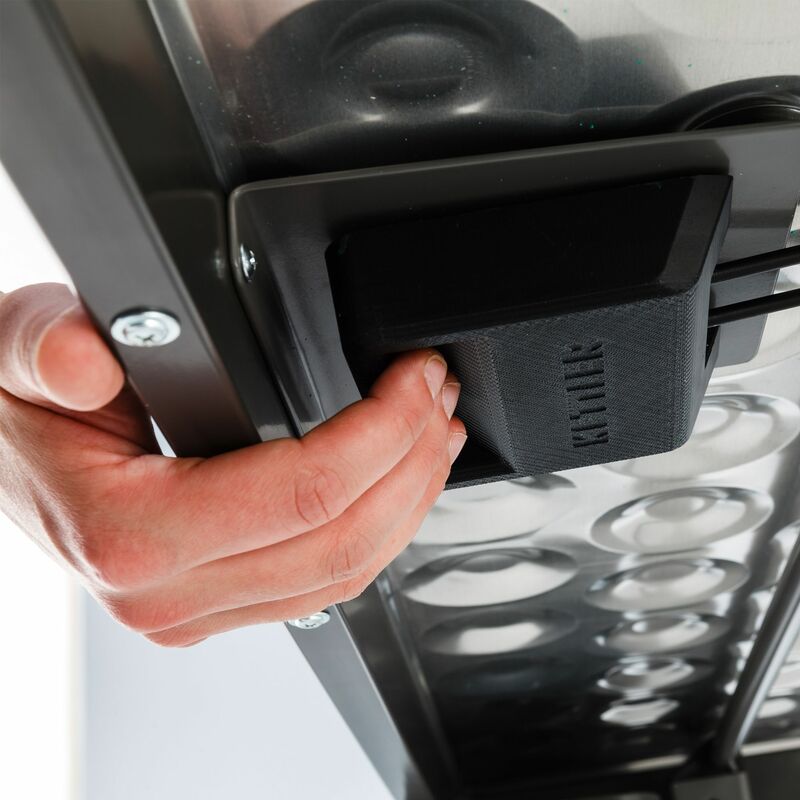 The table features an innovative ball box at each end that makes storing and dispensing balls easier than ever. Its practicality is further proven by the height adjustment on the legs that ensure a level playing surface every game. 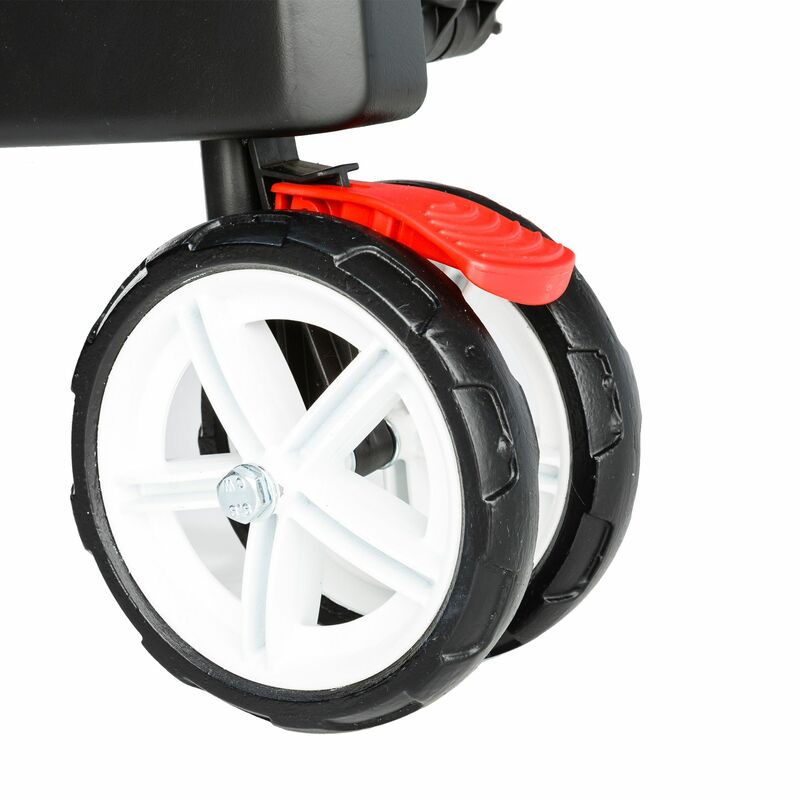 The legs are extra sturdy but have off-road wheels that roll easily outdoors. There are lots of nice touches that make this table stand out, such as elastic-band storage to hold bats and accessories within easy reach, soft-touch protection on the corner edges, and a one-hand locking mechanism that means folding a table tennis table has never been more straightforward! The multitude of useful features and the high level of performance really make this a premium piece of equipment ideal for all homes. Elastic-band holder on each side for bats, towels, etc. 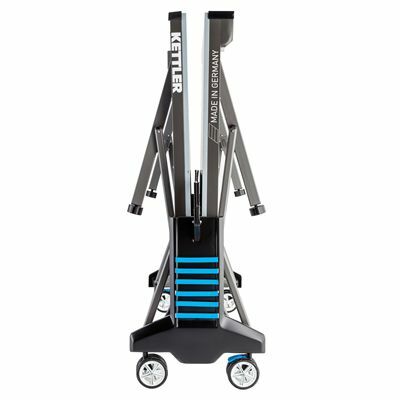 for submitting product information about Kettler Classic Outdoor 10 Table Tennis Table We aim to answer all questions within 2-3 days. 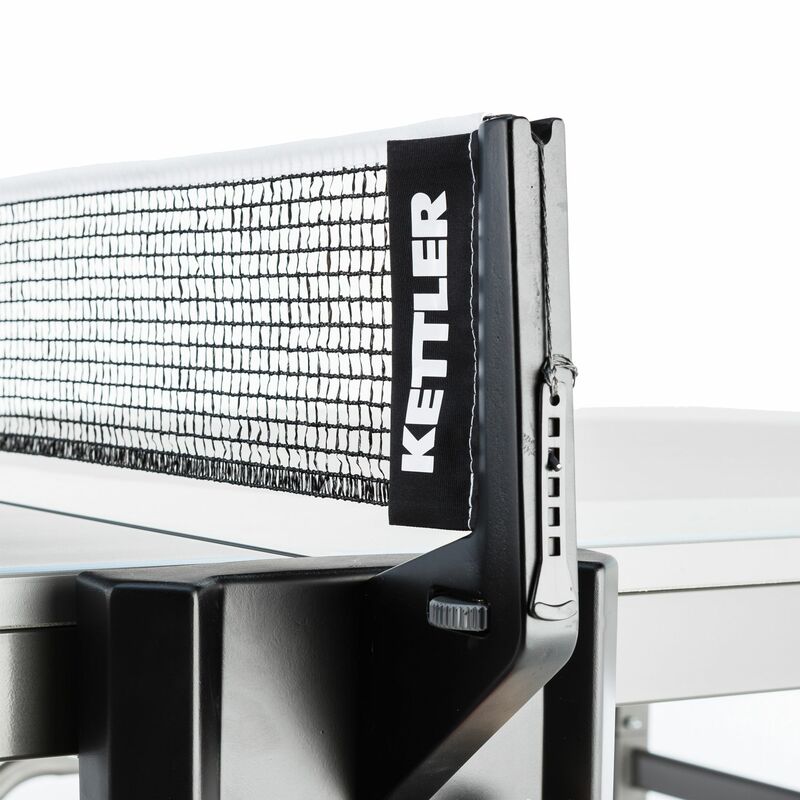 for submitting product information about Kettler Classic Outdoor 10 Table Tennis Table. We aim to answer all questions within 2-3 days. If you provided your name and email address, we will email you as soon as the answer is published. Can I use it indoors or only outdoors? Yes this table tennis table is suitable for both indoor and outdoor use. 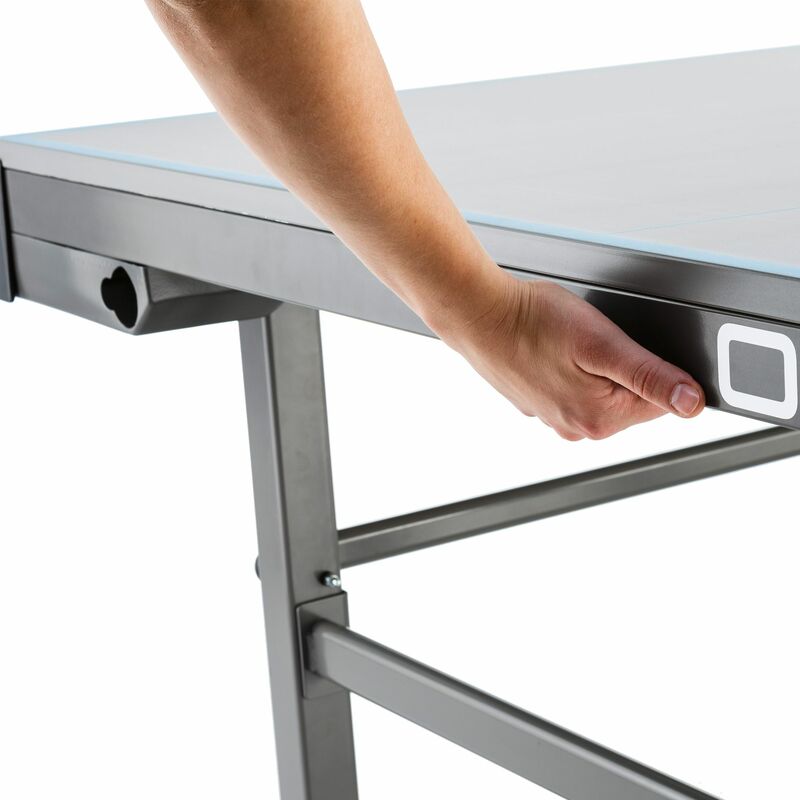 Yes, this table is very user friendly! The one-hand locking mechanism (visible on the photos) makes it really easy to fold the two halves up and down. It also has strong but smooth rolling off-road wheels which are great on both indoor and outdoor surfaces so you can move it for storing. Can I fold up just one side to practise on my own? Does it come with bats? The table comes with a detachable net but no bats or balls. We regularly run great discount offers on accessories when buying a table though, which you can add on the basket page. 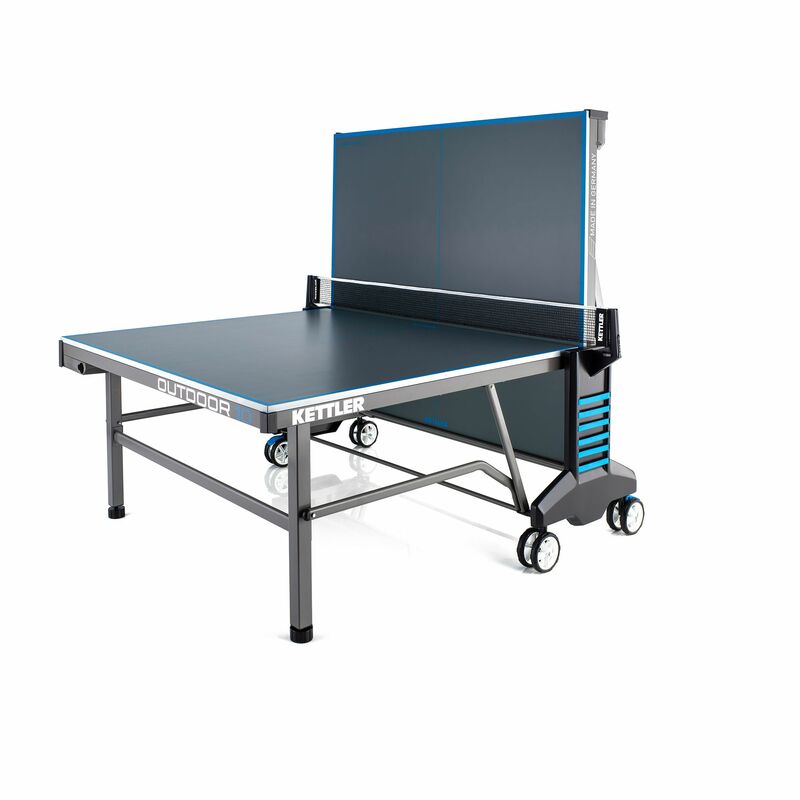 These two tables are very similar, the Kettler Classic Outdoor 10 Table Tennis is a part of the current range, it has an easier locking system (one-hand locking mechanism) and double off-road wheels. 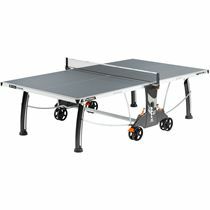 for submitting product review about Kettler Classic Outdoor 10 Table Tennis Table.